No freeaim lobbies still. Another pointless patch. So you'd rather them not fix issues? Seriously though, is this for real? If it is that's almost as funny as it is petty. You've got to love R*s sandbox game restrictions and micromanagement. ^^ Just go up ahead of time... then get the wanted level. Just tried going up the ladder while I was wanted dead or alive, no issues. Invite only will be great for hunting no doubt but I really want them to open up survivor series properly. There are only a couple I enjoy doing but hate the way it's a random loop. Play 3 or 4 just to get a decent match and even then it's only 5 minutes then back to the cycle. Needs to open up so we can choose which one, set our own time limit, number of teams (not 6 in Hostile Territory!!) and owned or forced weapons. Also, continuing the missions from where we left off will be nice too. In the meantime I still can't play the game for more than 5-10 minutes without getting disconnected. I did everything I could on my part, I even contacted my internet provider and they did check everything, they restarted my router remotely, they jake sure it is NAT type 2 and no resuot so far. Rockstar support answer to restart my game or my PS4 is useless off course. lol try climbing up that st denis ladder after you get a wanted lvl, it won't let you lol. Can you climb it, and THEN get a wanted level by sniping NPC's and eventually the SDPD? I saw (from a distance) a group of players chasing a train last night--didn't want to investigate, as my location was quiet and peaceful. Couldn’t care less if all we have is the lock on aiming lobbies as it’s just mind numbingly boring to play with. That's fine and all but if it fixes stuff it aint a pointless patch. You are right that for the game it serves a point, but no matter what they do it’s of no consequence for me if they do not add freeaim servers. *Addresses nothing about making the game enjoyable for various player types that have played other R* games than GTAO.. Isn't NAT type 2 'moderate'? Have you tried changing it to type 1 (open)? Have you tried loading single player first and then go to online? Of course, that could be completely coincidental. Well NAT 2 is what majority has as far as I understand. My wireless was NAT 3 and LAN is NAT 2 now but for years it worked flawless with dozens of online games except for Rockstar. I could ask my provider to set it no type 1 but honestly I think issue is on Rockstar end because we shouldn't be forced to use NAT 1, for safety and privacy reasons among the others. No I haven't. I could try that since I am out of ideas anyway. Once, I was able to play full day using wireless and NAT 3 which didn't make sense but next day it didn't work. Almost like there is an issue between my provider ( Cox) and Rockstar servers and I am not sure I can do anything about it. I have same issues with GTA 5, where every 5 min I am kicked out to solo lobby. It started happening like year ago for no apparent reason. I even switched routers but it didn't help. If it's affecting GTAO also, it probably is on your end. Did they come out to test the signal? Even a little interference can screw with the game. Something interfering with your wifi, or even the cable coming into the house. I get so excited when I see RDRO updates. I get goosebumps all over and a warm tingly sensation on my skin. Thinking, new lobby types, new game modes? For heckin real. One reason why we probably keep getting heckin kicked all the time is because we're most likely in a lobby with 22 people from Australia, America, Russia, Nordic Countries, Europe, UK, South Africa, Brazil and India. The latency and networking behind the scenes must just crap itself trying to keep everyone up to date. Yeah, they were here and according to them everything runs great which is also my experience in any other online game I played, EA, Ubisoft, it doesn't matter. Basically I can play other online games while streaming Netflix without lag or disconnect. After I had issues with GTA, they also switched my router for newer one, they tested connection. Set my NAT to type 2 but 8t still didn't help. Rockstar couldn't help neither. Only good thing if I can even call it a good thing is that I am not the only one with issues when connecting to Rockstar games. Bad thing is that no one has any solution so far. I would get even better router ( something called dual band ) but that one I can get only with new plan and 12 months contract which doesn't work for me since I am looking to move to Nort Carolina in 2 to 3 months. Maybe over there I get new service and everything will work fine, who knows? Lets not spread misinformation. I know they apparently removed a cougar spawn but they haven't touched any ladders (I tested it my self), or fish spawns to my knowledge. Have you ever tried changing NAT settings yourself? I did a quick Google search before I replied earlier to make sure I was giving you correct info and there are videos and guides on how to change it. It's simple enough and you can always change it back if there's no improvement. Doesn't seem to happen any more but on Xbox 360 my NAT would randomly change itself from open to moderate/strict every so often. I might have misunderstood indeed, I can only talk about some waterfall where fishes seem to not die naturally anymore. I didn't do the ladder massacre nore the cougars one but I hate when stuff is remove for money reasons. Virtual freedom please, that's the only thing we want! Eh lets be real, the waterfall with the fish falling was cheesy as hell. I have more problem with them nerfing salmon/trout prices than them removing that spot. Not so cheesy looking at the prices of every items in the game. The problem is always the real money behind it. A lot of the prices are alright, ability card upgrades and horse/gun customisation is a problem area but yea, the hunting/fishing payouts will get you stuff in no time. They're not perfect but they aint terrible, for the most part. Payouts for missions (stranger, story repeats) could be better though for sure. What u could try is give your ps4 a static ip and in your router set the ps4 to only use that ip (like "always use this ip for ps4) after that u put that ip (the ps4) in DMZ (in the router), this makes that only ur ps4 is in the DMZ and all other connected devices on your modem/router are not. If you do this you need to disable upnp and port forwarding in your router for that particulair ip you give to the ps4. 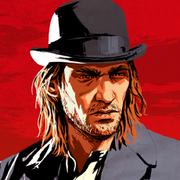 Im going to do this tomorrow on my brothers ps4 because he gets disconnected every 10 minutes from RDO, ill let you know if this works. (or your xbox, i dont know what u play on) ill keep you updated. "Oh boy, a new update! Are there new missions?!" Only to be followed by disappointment. I'm getting tired of doing the same ones again and again. Give me more! Just sold various pelts, feathers and carcasses to 2 different butchers (St. Denis and Valentine) without losing anything. Anyone else? 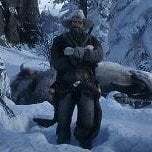 I did lose all pelts attached to my horse by fast travelling though, which I don't remember happening before.